With burglaries and robberies on the rise in the United States, the Homer Village Police Department recognizes the importance of your home and belongings and wants to help you protect them when you are away. When you know that you will be traveling or moving, contact the Administrative Office of the Police Department and ask to be put on the Vacant House Watch list. The Department will make periodic checks of your property to make sure no unwanted visitors have come by. The Vacant House Check Form (below) can printed and submitted to the Homer Police Department. The department keeps a listing of emergency contacts for when situations arise at a place of business off-hours. 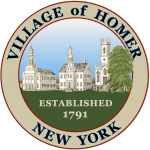 If you rent or own property in the Village of Homer for your business and would like to be added to the directory, contact the Administrative Office during regular hours. You can get the permit application here. There is a $15 charge for fingerprinting services.